Weight loss is a complexed subject. You tend to lose weight when the number of calories you consume is less than the calories your burn. Eating the right foods is one of the major keys to lose weight. 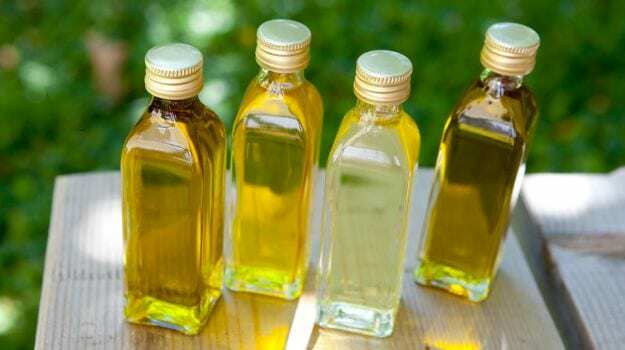 While many talk about healthy and nutritious foods to include in your daily, we barely talk about cooking oils that may help speed up weight loss. According to a study published in the British Journal of Nutrition, switching from a diet high in saturated fat to one high in mono-unsaturated fat may help you lose a small amount of weight even if you don’t eat fewer calories. So, which cooking oil is the best to lose weight? Experts reveal. Basically, any oil that is high in mono-unsaturated fats should be consumed, because most saturated fats are high in calories and dietary fats that can contribute to weight gain, as per the American Heart Association. Extra virgin olive oil is known to be one of the healthiest oils making it suitable for cooking at higher heat. On the other hand, canola oil is one of the oils that is lowest in saturated fats. Peanut and sunflower seed oil have high smoking points that make them good for all types of cooking. While there is no particular cooking oil that may help you lose weight, but choosing some of these above-mentioned oils and complementing them with a healthy diet may definitely help shed some kilos and may also help you stay healthy. Go on and choose health!